There are thousands upon thousands of games that have been released over the years. Narrowing them down to a "top 100" was always going to be a challenge, but the whole DDNet team has come together to build a list of the 100 most canonical games that we feel all people should play in order to determine the depth and breadth of experiences that games offer. Each day we'll count down ten of the games, all the way to the mighty #1. Be sure to let us know in the comments if any games on the list surprise you, or you would add to the list yourself! For so many people, Mario Kart 64 was the realisation of a dream. Super Mario Kart was locked to two players, but in that first racing outing for Mario and the gang we got a sense of just how much fun an arcade-like kart racer could be. 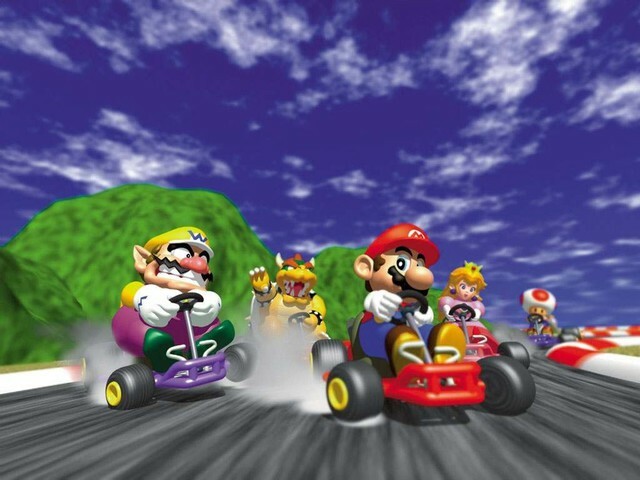 Mario Kart 64 bumped the multiplayer stakes up to 11 with four player split screen, and for many that meant weekend after weekend of marathon gaming sessions and hilarity. 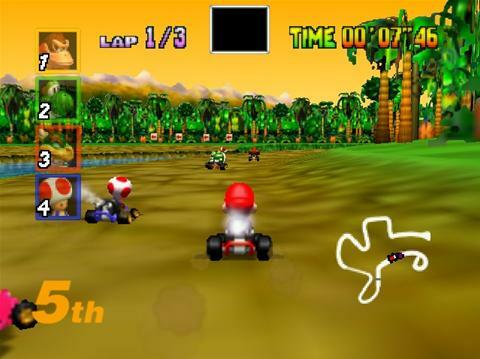 No other game in the series has managed to strike the balance between rewarding good racing and fun, mayhem-inducing weapons quite like Mario Kart 64 - in fact, the increasing reliance on gimmicky track tricks and mayhem-inducing powerups means that it’s very unlikely a kart racer will ever top what Nintendo achieved on the Nintendo 64. 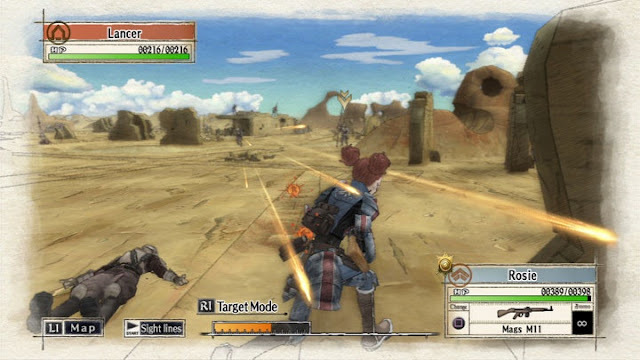 It’s really rare for a game about war to be so ardently anti-war in how it portrays conflict, and yet that’s Valkyria Chronicles in a nutshell. This is a game that is unafraid to put a human face on the consequences of war, and in presenting the game’s fictional war to be one over dwindling energy resources, it can also be easily seen as a biting warning in looking to the future. All of this is housed within the context of some really intense, tactical, strategy/RPG hybrid action to make for a poignant, emotional, and intelligent experience all wrapped into one. Rhapsody is the stuff childhood memories are made of. It's a light hearted, imaginative JRPG that puts music at the forefront and narrates a charming love story along the way (an amusing role-reversal where the heroine must rescue a prince). To this day, it stands as a rare example of a musical executed in video game form, complete with the corniest of cornball ditties. Imagine a playable Disney flick but with a distinctly eastern sense of aesthetics and storytelling. JRPGs can be daunting for newcomers, what with the elaborate combat systems modern games have adopted, but A Rhythm Adventure boils fights down to their core elements, with no real intimidating mechanics to learn. It's a brief and unforgettable experience guaranteed to leave a mark on anyone still young at heart. Paper Mario: The Thousand Year Door is among the most creative JRPGs with the Nintendo brand attached to it. 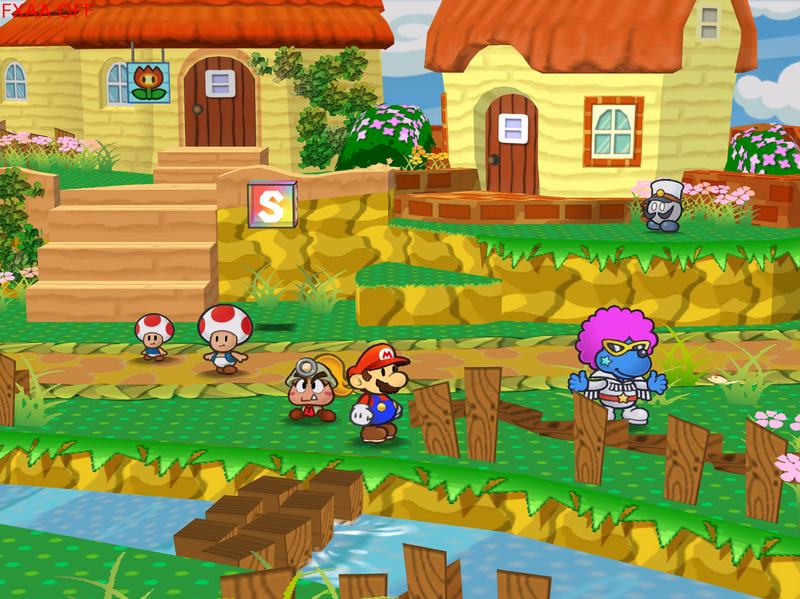 The original Paper Mario got the ball rolling with a turn-based battle system that used timed button presses and uncharacteristically low damage output to make a lovable, minimalist game. The sequel retains all that charm but is arguably leaps and bounds beyond its predecessor. 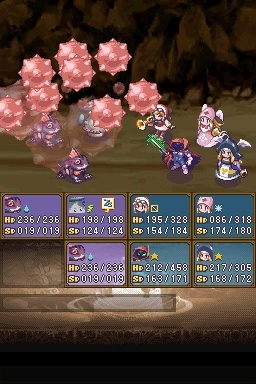 The script is more profound, characters have tangible depth, and new mechanics like "Superguarding" made it possible for skilled players to outright negate damage. The Thousand Year Door also threw the plumber into wonderfully bananas circumstances; Mario must become a pro wrestler, lose his identity, solve mysteries on a train, play love doctor for the mafia, and conquer aliens just to name a few. Even the titular paper art style became more than just an aesthetic choice and allowed for greater exploration and puzzle solving in the vast world surrounding Mario. In a way, it's understandable why a similar sequel hasn't been made; this is not an experience that can be easily topped. 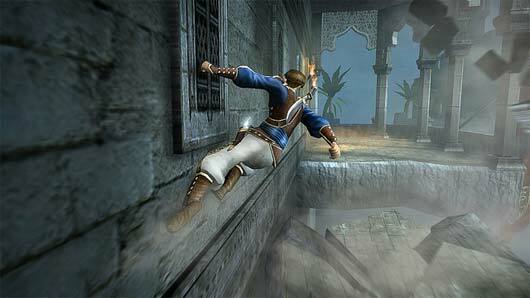 When The Prince of Persia took to three dimensions, we don't think anyone was expecting it to be quite this good, but what a game it turned out to be. Tight platforming and flowing, graceful combat combined to really set the standard for action platformers thereafter. The ability to rewind time was a cool gimmick, too, and the setting was, of course, divine in all its fantasy Persian glory. Not enough is done with the fantasy Middle Eastern setting, sadly. The Sands of Time delivered Ubisoft another key mainstream franchise, and it’s such a pity that the company has let it fade in favour of the Assassin’s Creed series. They deserve to co-exist with one another. Developer Camelot has perfected the art of arcade golf experiences and that prowess has been on display as far back as Mario Golf: Toadstool Tour. 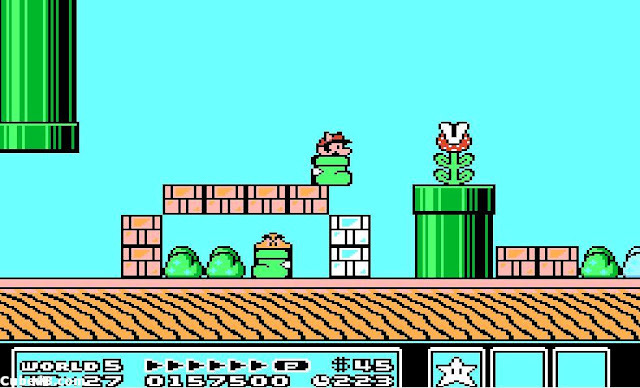 The game didn't just incorporate Mario characters; it had bonafide stages and elements from the Mushroom Kingdom. These components were light, but the personality of Nintendo's number one IP shone through while retaining a legitimate atmosphere players of titles like Tiger Woods could appreciate. 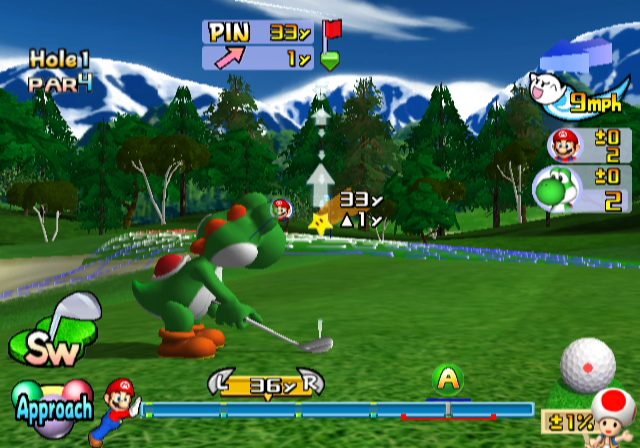 Those with Game Boy Advance link cables could even transfer their characters from the game's sister title on the handheld platform, allowing them to play as a custom golfer they'd poured dozens of hours into developing. Seeing two pro golfers duke it out on the big screen was the ultimate reward. Throw in a variety of clever extra modes and golf quickly became one of the mustachioed plumber’s finest multiplayer pastimes. As the first Elder Scrolls title to go fully 3D, Morrowind was so utterly breathtaking in its sense of scale that it fully mesmerised audiences. A game with dozens of towns to explore had enough by way of quests and characters to interact with that you could spend hours simply running around the first, tiny, hamlet that your character starts out in. As primitive as the game might look now, when coupled with the superb soundtrack from Jeremy Soule, this was also a deeply immersive and wondrous experience that you could lose yourself in for hours without the raw time you're spending in it really registering. 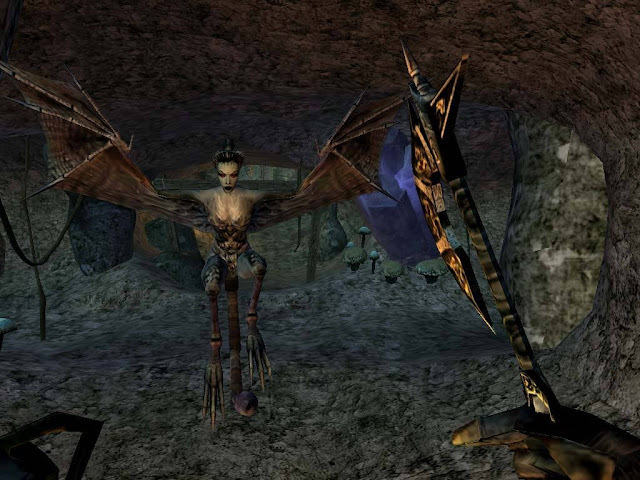 Later Elder Scrolls games have introduced gameplay elements that haven’t always sat well with players, but Morrowind is also far more traditional in the way it approaches RPG mechanics to those later games, which gives it the edge on to this list as far as the DDNet team is concerned. One of the most awesome things about Nethack is that it is free. As the game that really established what a roguelike should be, and was directly responsible for the mystery dungeon JRPG sub-genre, which has also endured on to this day, Nethack is almost ridiculous in its depth of mechanics and astronomical in difficulty. None of us on the DDNet team has finished Nethack, and some of us have been playing it for decades. Some superheroes of the Internet have managed to report a victory over the game, but nope, not us. Why have we kept playing? Because the game keeps a leaderboard of your best efforts, and simply getting my new character on there is reward enough. The levels being completely randomised also helps give the game longevity, of course. There are a vast number of Mario platformers available at the touch of a button, but a good portion of players will still veer towards SMB3 the instant the opportunity presents itself. It's an odd combination of SMB, SMB2 (Japan), and SM2 (USA, or Doki Doki Panic reskinned) that somehow managed to create a near-perfect Mario experience. The quirkiness of the enemies is one of its highlights, but where SMB3 really shines was its graphics: colourful, cute, and equally quirky, the game pioneered the use of the parallax effect that made it seem so technologically advanced at its release. Mario's adventure could be condensed by using secret doors or special items, or drawn out into a day-long affair by skipping each shortcut. Remember those days when games had secrets to find? We would argue that none did it as well as SMB3. One of the dying gasps for the Nintendo Wii just happens to be one of its most beautiful and potent games. 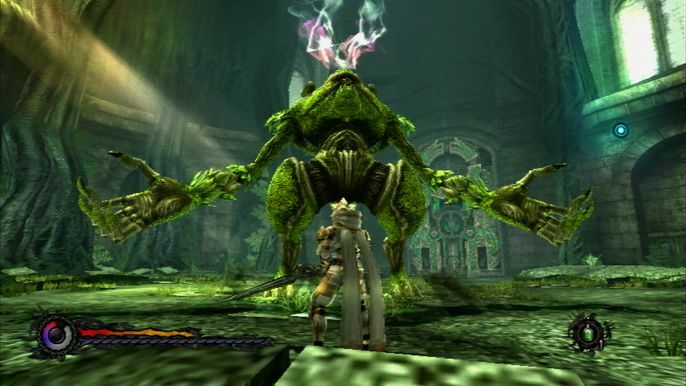 Pandora’s Tower is a thematically rich and deep action-JRPG, about a man that tries to help a woman overcome a vile curse by collecting the hearts of monsters that inhabit a series of towers for her to eat, and ease the progress of the curse. Shades of Castlevania are present in the way our hero uses a whip to overcome enemies and obstacles. Shades of the Souls games (or King’s Field) are reflected in the tone and atmosphere of the adventure. Shades of Shadows of the Colossus can be found in those boss battles – especially since you’ll start to question the moral impetus of your hero’s quest soon enough. For all those shades, Pandora’s Tower is a unique beast all of its own, and truly one of the greatest JRPGs most have never played.